Published by SAS Metal Ceilings. There is no denying that the specification of metal ceilings has seen huge growth over the past 30 years. 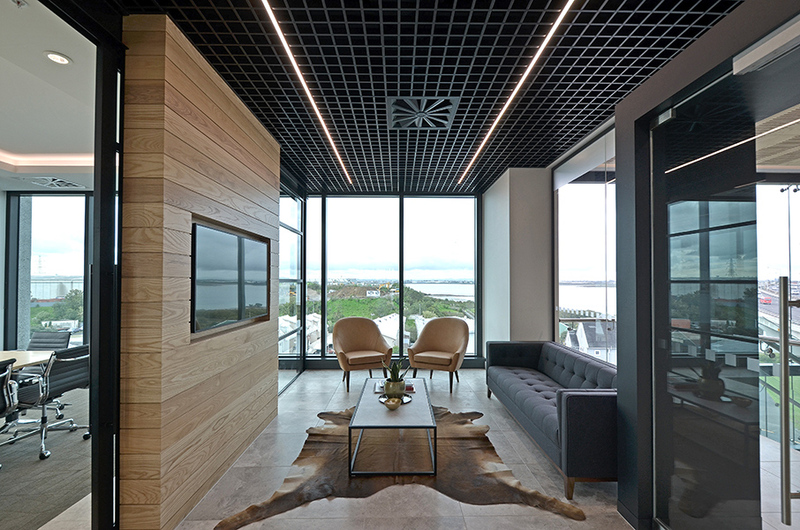 Metal is now the go-to ceiling material, superseding mineral fibre as the mainstay of modern workplace and infrastructure projects. An indispensable tool in the architect’s design arsenal, metal is a cost-effective and desirable material meeting contemporary interior demands. Metal creates visual impact, provides essential acoustic control and allows specifiers to add drama and confidence to an interior. So what is the secret to metal’s desirability and popularity as a ceiling material? Buildings sympathetic to the changing needs of occupiers is increasingly key. The rise of open plan offices with diverse, agile and collaborative spaces is the new norm. This requires designers to pioneer solutions that meet these changing occupier demands. As a reflective material, specifying a metal ceiling might seem counterintuitive for effective acoustic control. However, they provide excellent acoustic regulation, controlling reverberance and occupational noise. The level of acoustic absorption required will depend on the size of space, materials used and occupier density. A range of acoustic infill panels combined with appropriate perforations will effectively control unwanted noise in the majority of spaces. Depending on performance demands, metal ceilings will typically offer the benchmark ‘Class A’ acoustic absorption. In today’s changing spaces, manufacturers have had to develop multi-functional, yet beautiful solutions. Metal ceiling systems allow the designer curved, waveform, trapezoidal and even multi-faceted options. Transition and perimeter trims also offer the advantage of specifying different metal systems within one coherent and integrated design. In addition, metal ceilings can now incorporate a wide range of finishes and effects. Another advantage of metal ceilings is they work flexibly with partitioning allowing occupiers to rethink space. As traditional working practices change, the ability to adapt spaces cost-effectively is increasingly attractive. A long-term investment for any project, metal maintains its appearance considerably longer than lower quality ceiling materials. Metal ceilings are impervious to many of the common factors you would associate with ceiling degradation. For example, a non-porous material, metal does not suffer from increased loading, sagging or unsightly stains from burst water pipes. Neither will dust and grime permeate the surface. This robust, hardwearing material maintains its appearance, offers ease of maintenance and full access to ceiling voids. Steel and aluminium are the most widely recycled and reused materials in construction, the benchmark for waste reduction. These highly sustainable materials can be 100% recycled and re-used repeatedly without degradation of quality. A recent report by SAS International considered the long-term value of metal over other ceiling materials. When considering the increased life expectancy and ease of maintenance, metal demonstrated a 47% cost saving over a 20-year period. Ceilings often combine with or discretely hide otherwise unsightly M&E services. Metal has always been an ideal material to integrate lighting and other services within a considered and functioning design. As part of a fire protection system*, metal ceilings can also accommodate additional services such as sprinklers and smoke detectors. However, as we move closer and closer to more intelligent and smarter buildings, the possibilities of integrating technology are endless. When it comes to metal as a material for ceilings there are virtually no limits to what can be achieved; it is possible to turn an imaginative concept into a colourful and truly inspired design. By working closely leading manufacturers such as SAS International, there is an opportunity to bring an architect’s vision to reality. * It is not recommended that a suspended ceiling be relied upon to protect the structural elements of a building. Metal ceiling systems should be tested and certified in accordance with UK and European standards.